1. Early Bird Discount – 20% off special for payments that are received 45+ days or earlier. Please use Coupon Code: EarlyBird20% to claim this discount or mention it in your inquiry. 3. Price Match – We are confident that we offer some of the best training programs in the world and at a competitive price. If you believe there is a comparable program, please complete this Price Matching Request Form to start the process. We will email you within two business days with our decision. If we agree the program is comparable, then we will discount a further 10% from the matched fee. 4. 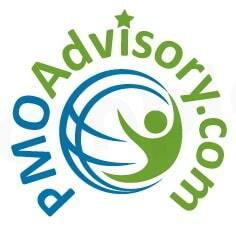 For businesses and institutions, PMO Advisory offers one of the most comprehensive ranges of project management courses. Organizations with intense project environments, including Fortune 500 companies, hire us to manage all their project management training across portfolio, program, project, risk, agile, PMO, and other business execution related courses. If you are interested in exploring this further, please visit www.pmoadvisory.com/business-training, complete this short form to initiate an inquiry, call us at 844-PMO-CERT, or email us at cert@pmoadvisory.com. Note: For selective institutions and businesses, the above discounts can apply, but chances are our institutional discount agreements are more attractive. Please visit the webpage for your organization. A. 10% discount to the following groups: active full-time students, U.S. military personnel and veterans, non-profits, and government agencies. Note: we reserve the right to request verification. Webinar – For a limited time, you are invited to attend our PDU-earning webinars for free. To see our current, future, and past webinars, visit www.pmoadvisory.com/webinar. You can sign-up there for free. Books – We offer a number of our books for free on selective days throughout the year. Unless otherwise specified, these books are available in Amazon Kindle format. You can simply go to “purchase” them on Amazon.com for $0.00. The Sensible Guide to a Career in Project Management – Available for free on – 1/22/19, 1/23/19, and 1/28/19. These discounts are additive, and thus, the savings are substantial. For example, if a U.S. veteran is organizing a course for three of his/her friends and agreed to pay for them 45 days in advance, the discount will be 30% (20% for early bird, 5% for volume, and 5% for being a veteran). Discounts are not automatic and will be applied manually by our training staff. We will verify the required qualifications and notify you if there are questions. Discounts only apply to the training fees, and they do not apply to optional materials, additional services, and food and lodging fees at special events such as the Mega Bootcamp.